1st Goal completed! Congrats to Steph: For completing her first 2 pull ups unassisted!! Posted byTransformations Made Possible	 Saturday February 5, 2011 Tuesday February 8, 2011 Leave a comment on 1st Goal completed! 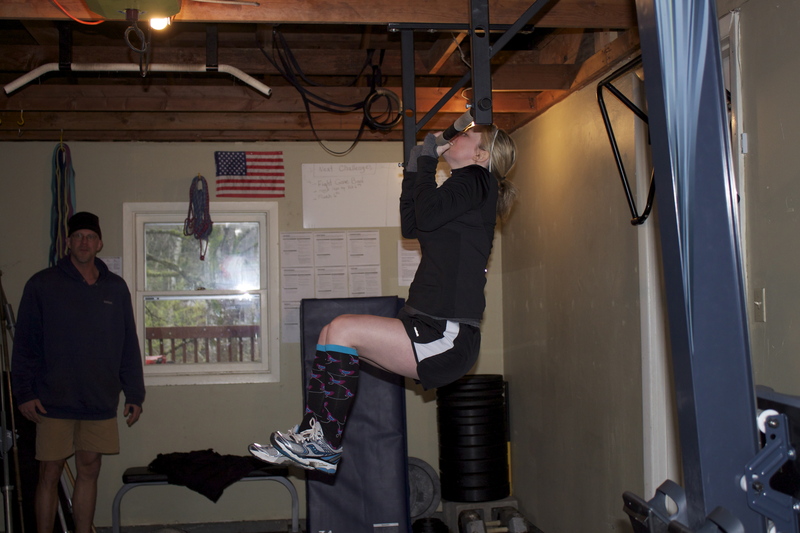 Congrats to Steph: For completing her first 2 pull ups unassisted!! CrossFit SW Portland has a little surprise for you, for accomplishing your goal of an unassisted pull up before your goal date (Mother’s Day)! Sat: Rest day- Sunday 2:00pm GS, 3:00pm Into to CF & 4:00pm ‘Fight Gone Bad’! Karen is in the box this Monday!